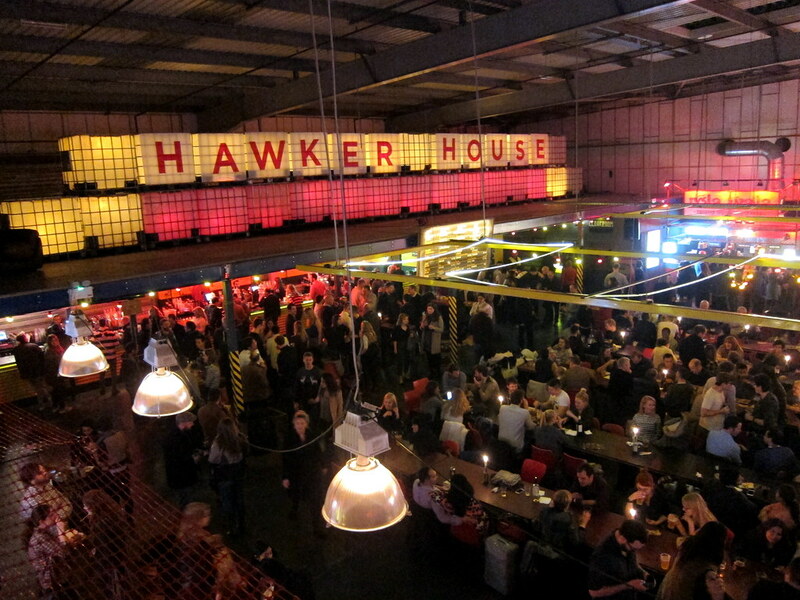 Hawker House – the street food emporium in the former WHAT!!! stores building at Canada Water – has applied to extend its planning permission till the end of 2019. Hawker House has operated successfully at Canada Water for two and a half years and has become established as a popular community asset on a site that would otherwise remain unoccupied. Surveys of Hawker House customers undertaken by the applicant have shown that approximately 4 in 10 of the visitors come from the local area. Four in 10 of Hawker House’s staff also live locally. The applicant now expects the property to be available for an extended period than originally expected, and is therefore seeking to extend the existing planning permission on the same terms as those previously granted. Hawker House retained its licence last autumn despite objections from nearby residents.